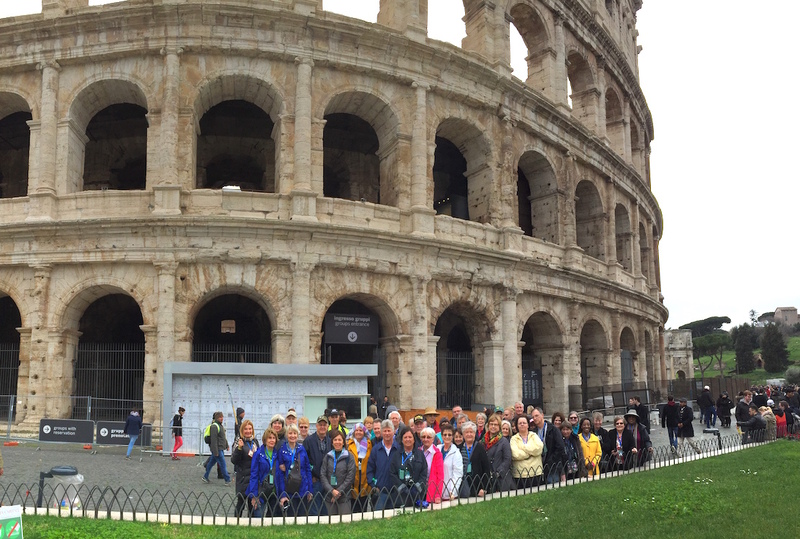 Our final day of our Insight for Living Ministries Pre-Israel Tour to Rome included some special moments and some famous sites. 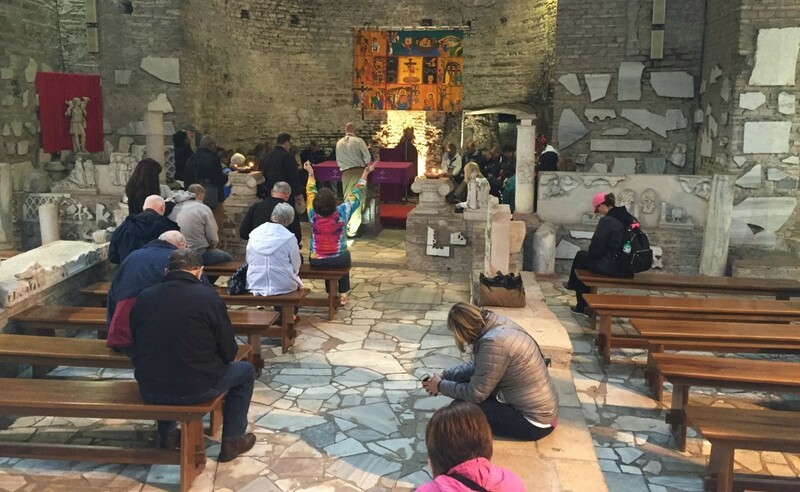 We began the day at the Catacombs—where so many Christians were buried. I enjoyed seeing all the Christian symbols on the tombs from the 1st and 2nd centuries. Most famous for the early Christians who were buried here, the catacombs offer an essential contribution to early Christian art. Early frescoes and sculptures still exist in the catacombs. Most touching for me were the smaller burial spots carved out for children who had died. Tomorrow morning, we head to Israel to meet up with the hundreds of other pilgrims on their way to join us in the Holy Land. Stay tuned on the blog for many more updates! 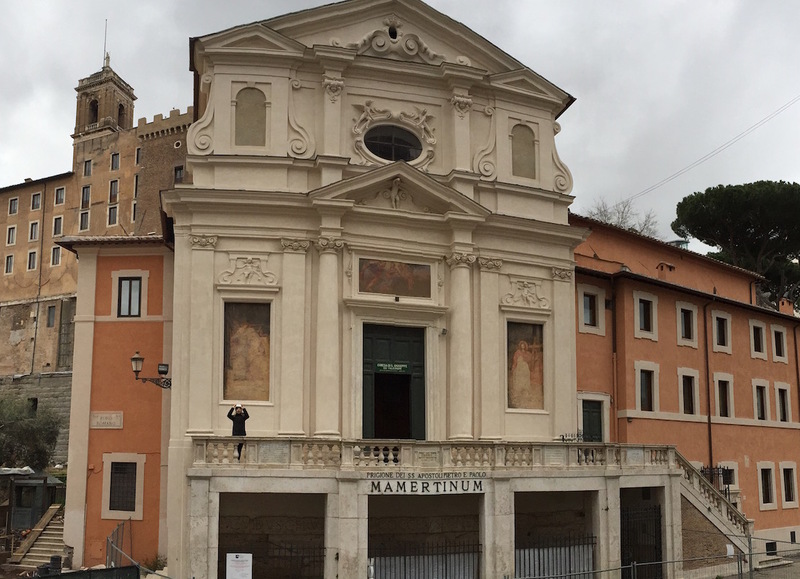 Today on our Insight for Living Ministries Pre-Israel Tour to Rome we saw some marvelous historical places. Such history everywhere—sites both ancient and modern. We toured many places famous in Rome, but two sites that stood out most the past two days were the Mamertine Prison where Paul was imprisoned and St. Peter’s Square (which is round, by the way). Paul spent the bulk of his final Roman imprisonment in the dark, damp, and depressing dungeon of the Mamertine Prison. Here Paul wrote to his protege, Timothy, the book of 2 Timothy. I’ll never read that book the same after being here. Most folks likely don’t know that almost all the Christians martyred in Rome didn’t die in the Colosseum. 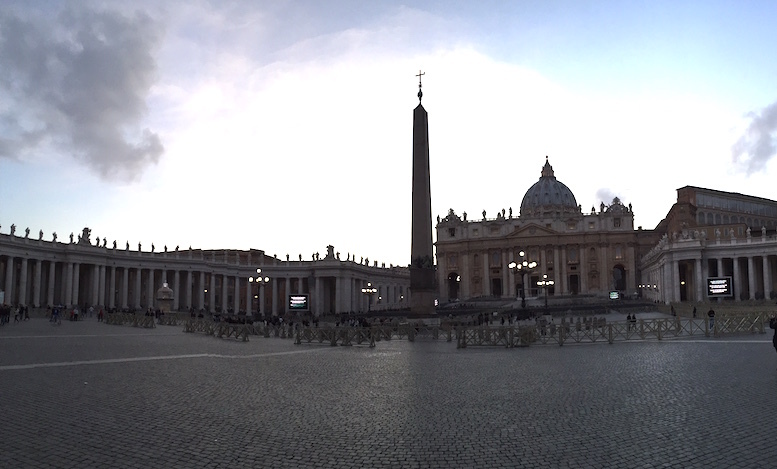 Instead, they were killed in the Circus of Gaius/Nero—the site where St. Peter’s Square now stands. The Egyptian obelisk in the center of the square is original to the circus, though it stood in a different spot. Paul and Peter . . . what heroes of the faith! Faithful to the end. 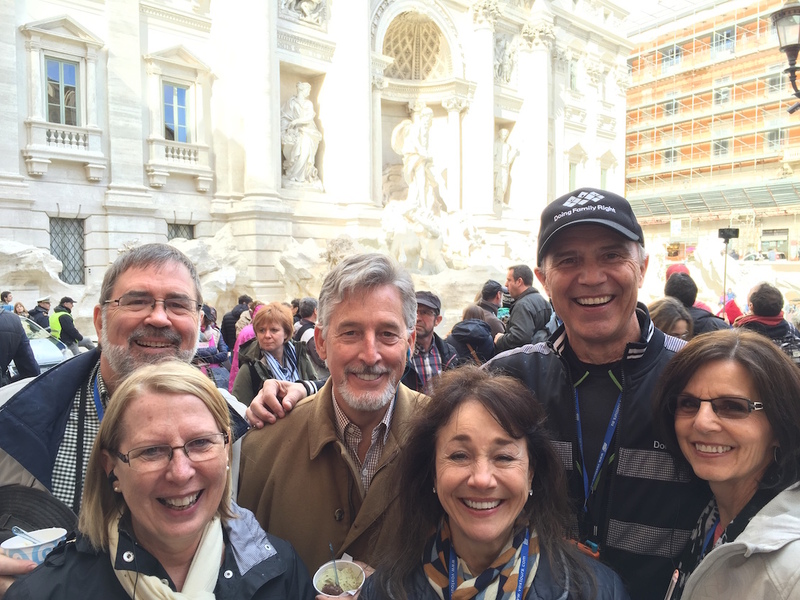 The Insight for Living Ministries Pre-Tour to Israel enjoyed its first day in Rome, Italy, today! We have two buses filled with sleepy, but excited pilgrims—wide-eyed at the wonders of this ancient city! But my favorite sites were the Tres Fontane Abbey and the Church of St. Paul Outside the Walls. 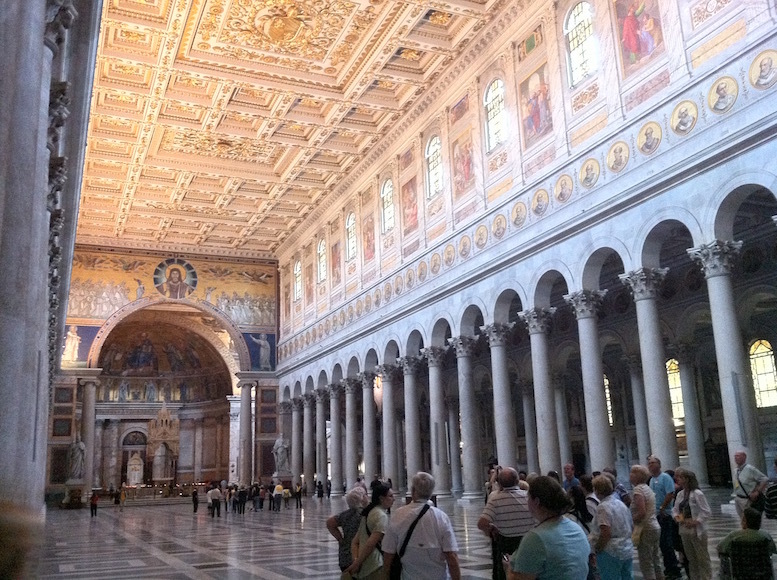 These sites are where the Apostle Paul was martyred . . . and then buried. What a model Paul was! Living his life fully for Jesus Christ and then giving his life for the name of his Lord.